Is no secret that Ku'damm is one of my favourite places in West Berlin: it has the best restaurants, shops, architecture and parks. As I am living in the city, I am not necessarily interested to check the accommodation options, but it seems that the offer is equally interesting. One of the first days of winter, I entered the warm world of Louisa's place, a former villa built in 1904 to check one of the most recommended places to stay in the area. 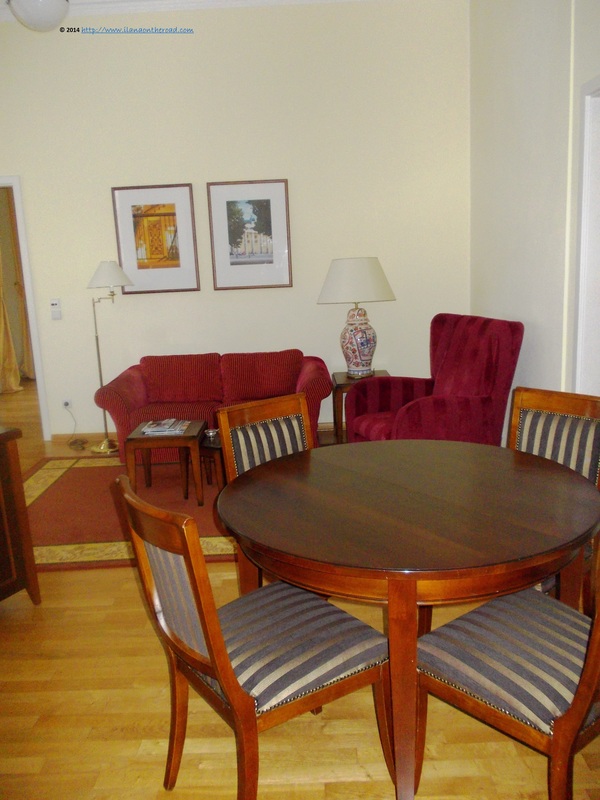 Bearing the name of a beloved Prussian Princess, it has 47 suites, of 5 different categories, covering from 40 to 100 sqm. 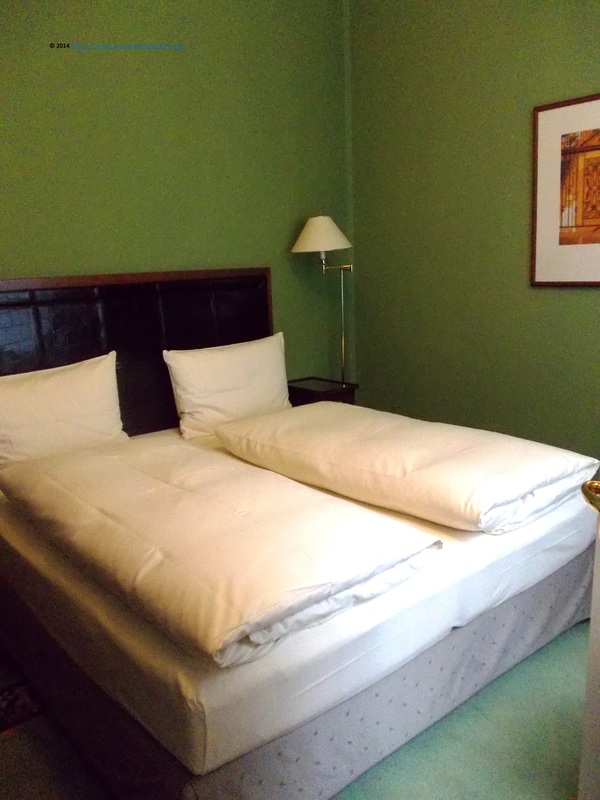 The entire location is built around the concept of full service: the reception is available 24/7, laundry and shopping services can be requested all round the clock. In order to keep the privacy of the guests, if you arrive there for the first time, you need to be opened the door, as the access is restricted. A quiet and colourful world is waiting for you on the other side of the door of this 5-star hotel. Either the guests want to stay for 2 days or 2 months - or even more -, the hotel is ready to accommodate their wishes. 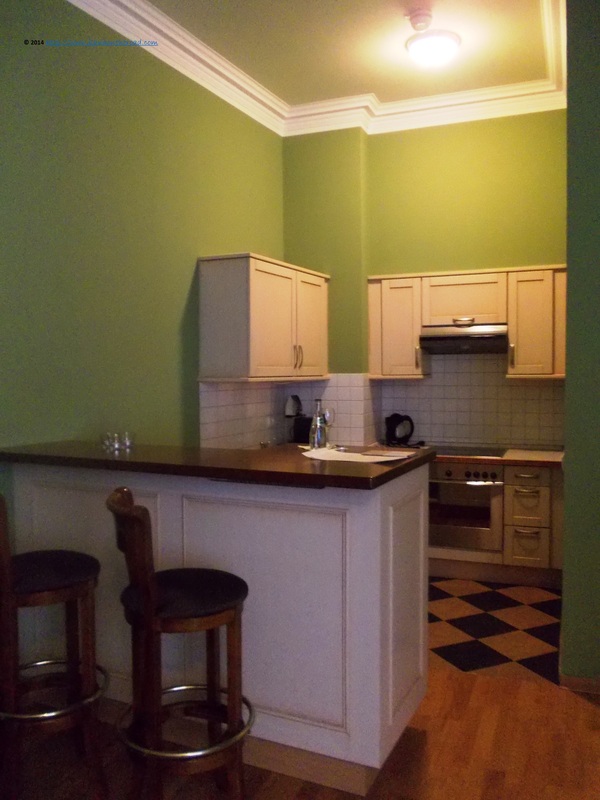 Each suite - with 2 rooms - has a fully equipped kitchen and a deep freezer. There is no mini-bar, but all the needs of the guests can be accommodated. Compared to the standard Berlin kitchens, it has a lot of space, and the coquette mini-bar offers a pleasant corner to relax and enjoy the time. The price of the breakfast - 22 EUR. - is not included in the price of the room. Hence, the guests are free to chose either they eat in the room or they enjoy the company of other guests at the restaurant downstairs. Green is one of the newest colours of some of the rooms. The predominant colours are from the pastel category, the furniture, brought from France is elegant, without being extravagant, and disposed in such a way that doesn't overcharge the space. The simplicity is answering the needs of a large category of guests, from artists to fashion designers, business men and families with children. For longer stays, the rates can be significantly reduced. 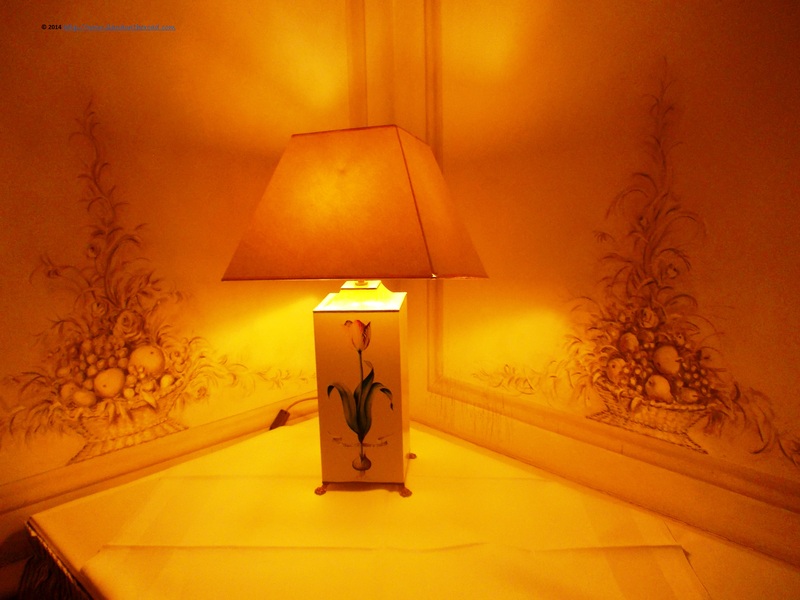 The main design idea is to keep a certain historical charm to the rooms. 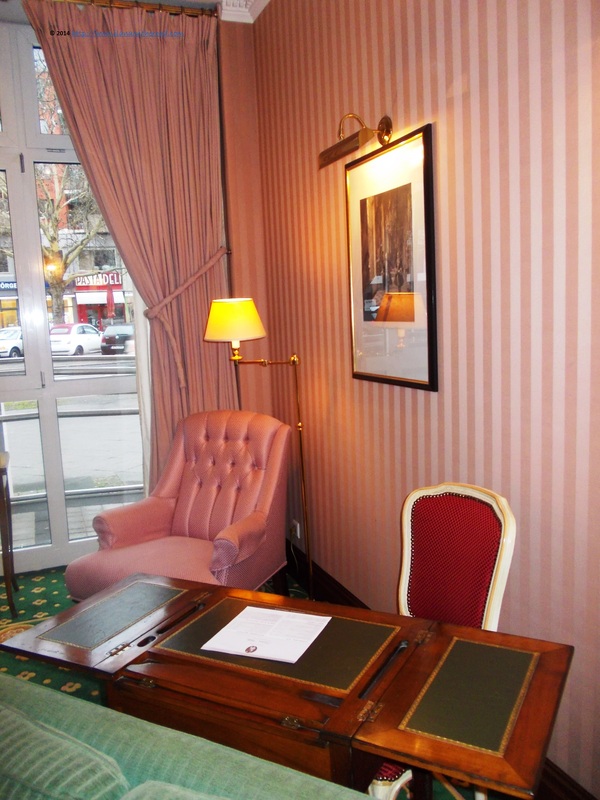 However, each suite has satellite TV, with DVD player, telephone and high-speed wifi for free. Although situated on a very busy street, with 24/7 activity, the usual buzz doesn't enter the cozy apartments. 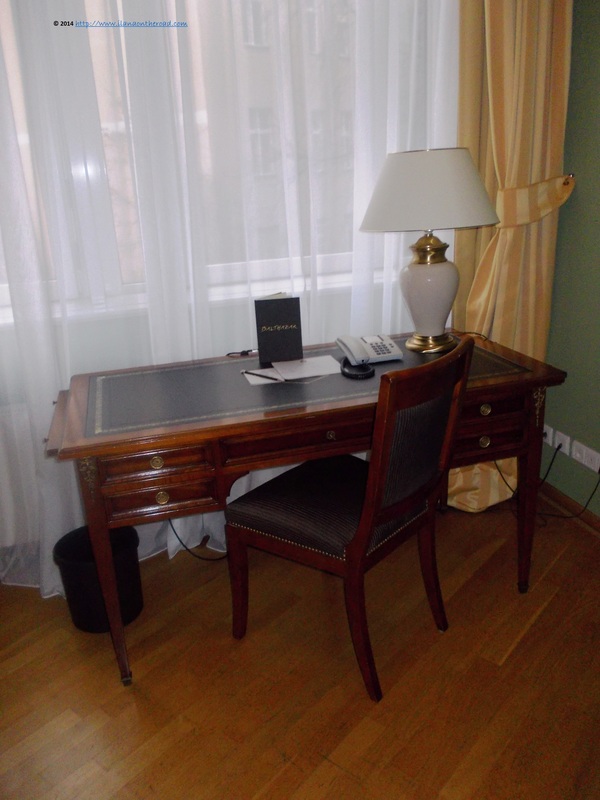 Upon arrival, each guest receives a hand-written letter from the manager. Time to make new friends! Each detail of the decoration seems to be carefully chosen. 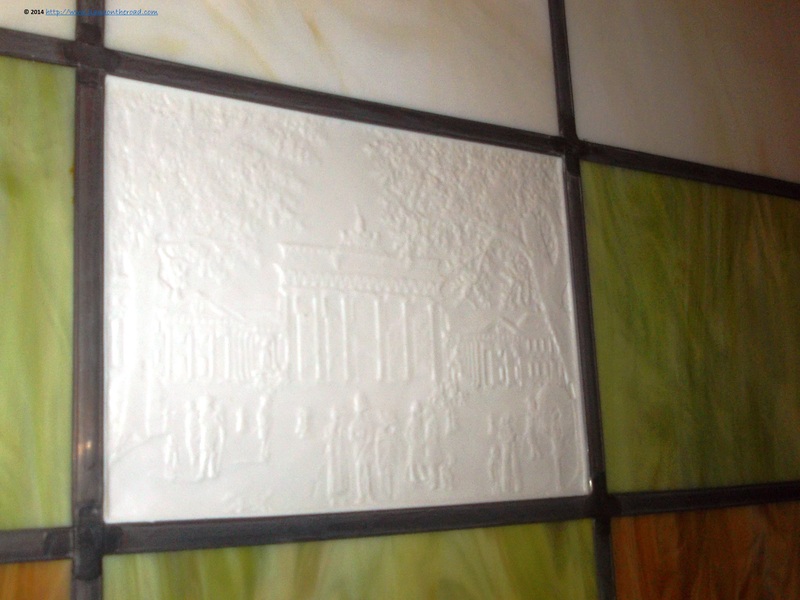 In the lobby, a small bas-relief of Brandenburg Gate invites to long trips outside. Louisa's Place has its own branded guide with regular recommendations about where to go to eat, shop and enjoy the cultural diversity of the city. The second apartment I visited has yellow as the predominant colour and even more space allowed. For the family with children, the suites of more than 50-60 sqm. are recommended. 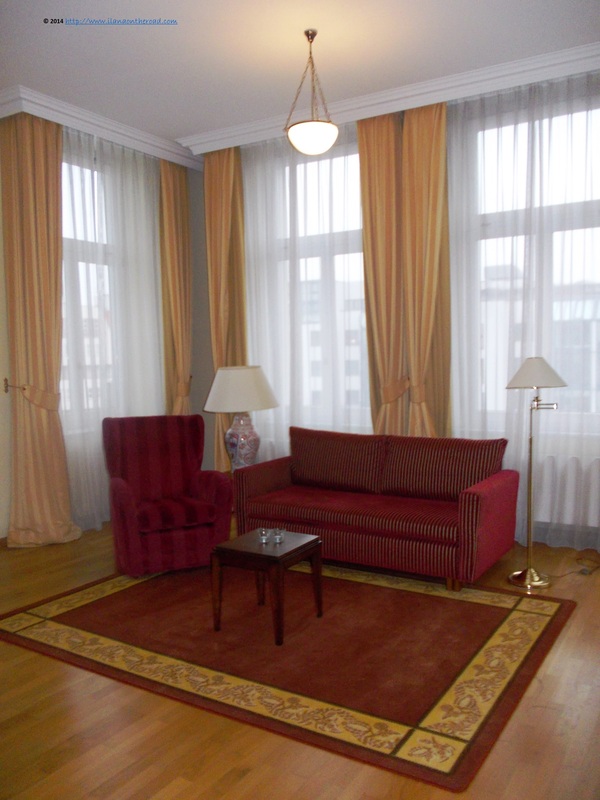 Each apartment has its own style, more space and almost the same category of facilities. The majority of the guests are from Germany, followed by the English-speaking areas - especially the US, as well as from Russia. During the spring and summer, the breakfast can be taken on the little balconies provided for most of the rooms. 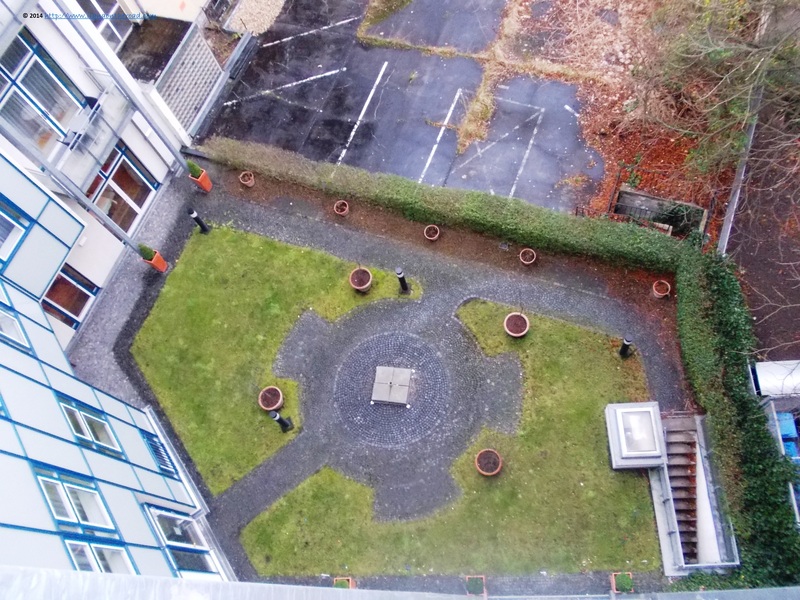 An enclosed little garden can be used for various parties and family gatherings. The game of pastel colours used for the design creates a special ambiance. On the walls, aquarelle images of Berlin. Being a guest at Louisa's place guarantees access to a big wellness area, restricted to the visitors. 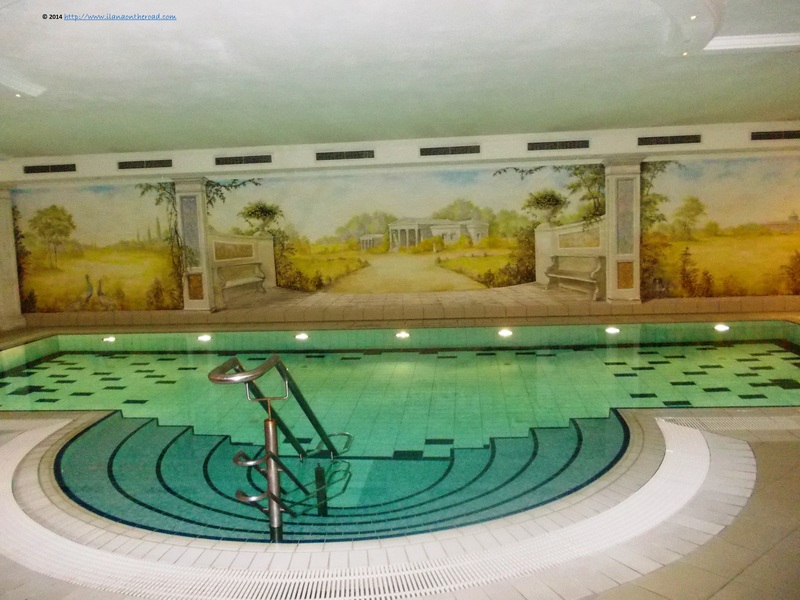 Surrounded by a painting of Potsdam in the summer, the swimming pool is open from 6am to 11pm and especially family with children enjoy spending time here. It is provided with a fitness room and sauna, with access to massage and manicure, services coordinated by Katrin Wilke. Building a steam bath is part of the list of priorities of the hotel for this year. 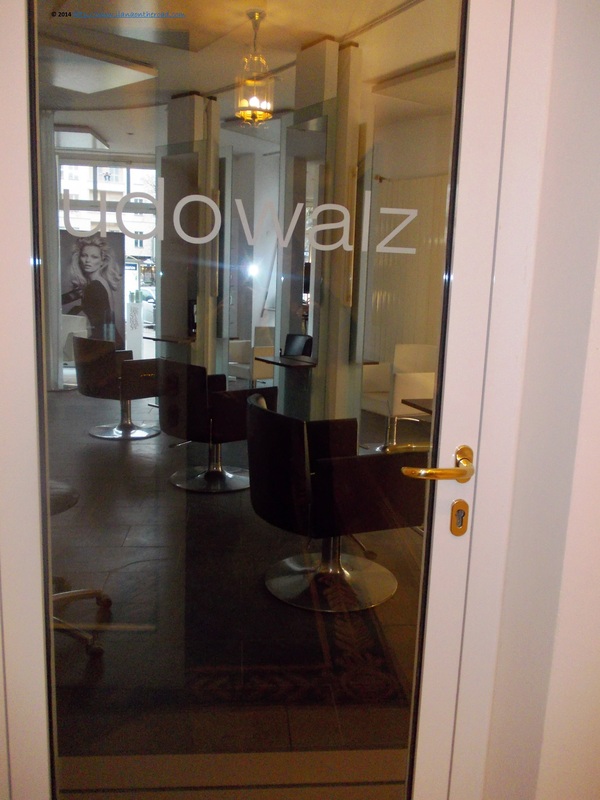 The famous coiffeur Udo Walz has an office here, where, by request, he can make the hair of the guests look as stylish as possible. The breakfast is taken in the hotel, but for lunch and supper, the gourmet restaurant Balthazar is next door. The last and favourite stop for me: the library. 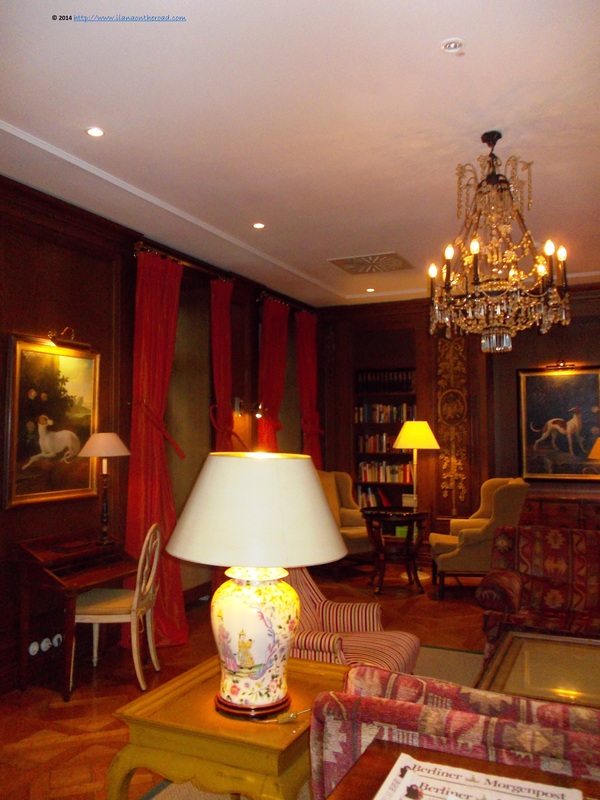 A place with many books in different languages, an interesting game of lights and shadows playing over the light colours of the decorations and furniture, where you can work, sip your wine or check the latest news. The boiserie was brought from a 18th century castle in France and this is the space and the time where the guest is brought as long as he or she wants to. It is the end of my tour, and for a while, I am jealous of those who don't leave in Berlin and can have the chance to be the guests of such a special place.